By Dave Dean | October 4, 2018 | This post may contain affiliate links, which means we may receive a small commission, at no cost to you, if you make a purchase through a link. Read our Disclosure. 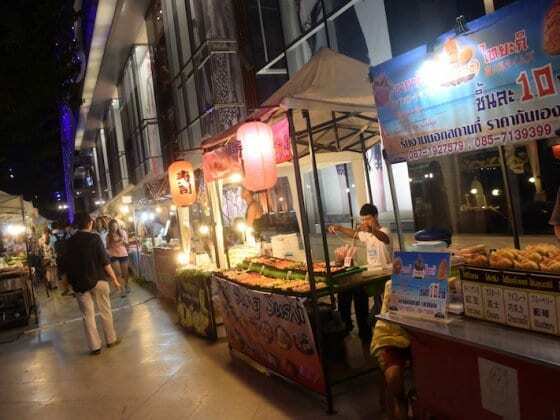 So you work from the road, or would like to? You’ll soon discover, if you haven’t already, that efficiency is key. 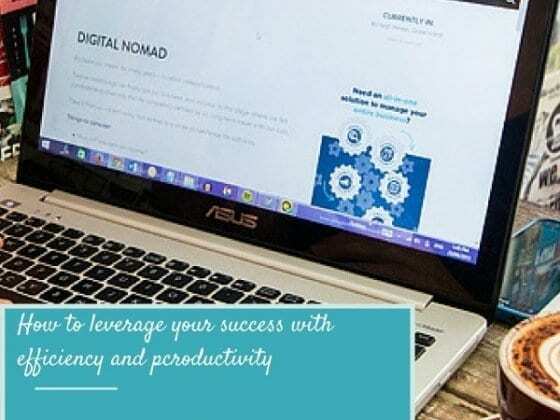 With slow Internet connections, intermittent power, long travel days and all the other obstacles and distractions that stand between you and getting the work done, you need to do whatever you can to make the process easier and more effective. With that in mind, here are 16 apps, sites and add-ons that those who make a living from the road really can’t afford to be without. They’ll help you focus better, travel more efficiently, collaborate well with others and much, much more. Let’s get into it. 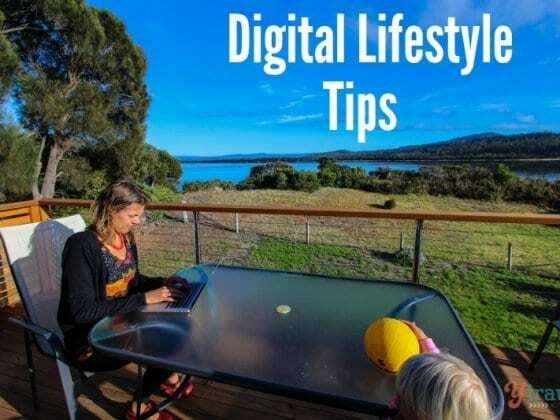 Need More Digital Lifestyle Tips? [email protected] is a godsend when you’re working in noisy environments or otherwise struggling to focus. The site boasts of a neuroscience-based approach to selecting background working music, and it really seems to work. Rather than blasting out your favourite tunes and ending up singing along for half an hour, the site’s playlists let you concentrate harder and for longer than you otherwise would. The free version limits the track selections and will stop playing after one hour (although it can be restarted immediately). The paid service costs under $4/month on an annual membership. Canva is extremely useful for those with limited design skills. The site lets you quickly create professional-looking site graphics, presentations, flyers, infographics and more via a simple drag-and-drop interface. It’s easy to use, and has a library of tens of thousands of stock images if you don’t have the perfect one yourself. Designs can be shared with others before they’re finalised. It costs nothing to create designs using either your own photos or any of the stock pictures marked as free. Other images cost a dollar each. If you use Gmail and don’t use the inbuilt canned responses feature, you’re missing out. There’s no need to type out the same generic emails any longer — just set up a canned response and add it to your mail with a couple of clicks. Similar concepts exist for many desktop email applications as well, and this one tool can easily save hours by itself. Speaking of email, there are several different add-ons you can use to make your emails and relationship management more professional. 4. Wisestamp lets you set up multiple dynamic signatures that can include social media icons and latest posts, as well as standard contact information. 5. Rapportive uses a contact’s email address to automatically display information from other channels around the web — you’ll often get the photo, full name, bio and social media activity of the person you’re mailing. 6. Finally, Boomerang lets you bring an email back into your inbox exactly when you need it, rather than just keeping it there as a reminder for weeks. All add-ons are free for at least basic use, and operate on multiple browsers. Wisestamp works with several different email platforms, while Rapportive and Boomerang are Gmail-only at this stage. When you’re working with others, it’s often hard to keep track of what everyone is doing and when it’s all due. Asana is a powerful project management tool that keeps most of the complicated parts out of the way unless you need them. Even better, there are no limitations in the free version and you only need to start paying once you’re running projects of 15 people or more. 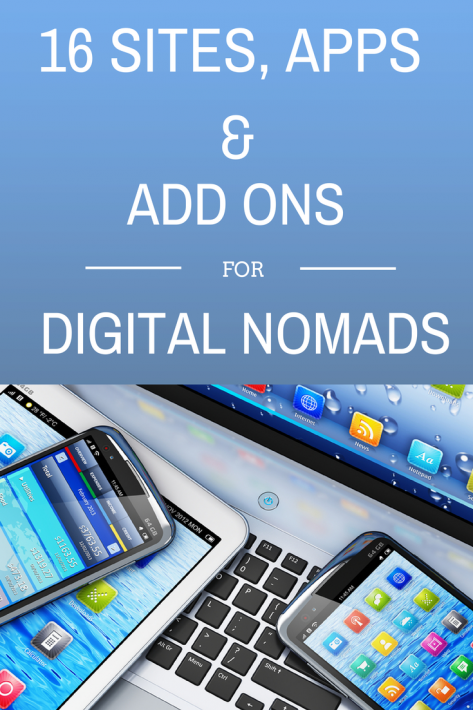 With both Android and iOS apps to go with the web site, it’s no surprise that it’s the preferred tool of many digital nomads. Rescue Time automatically tracks how long you spend on different tasks, from writing the next big novel to browsing cat videos on YouTube, and lets you know how much time you’re spending on each. It’s easy to set specific goals and measure your productivity, and you’ll receive an email each week telling you just how (un)productive you’ve been. The premium version costs $6/month on a yearly plan, and adds features like website blocking, alerts and tracking offline tasks as well. AutoHotkey (Windows) or aText (Mac) let you set up keyboard shortcuts for inserting text. Put like that, these apps sound incredibly dull — and yet for speeding up mundane tasks, they’re a lifesaver. Anything from a word to several paragraphs can be quickly inserted into whatever you’re working on at the time. There are many other, more powerful features built in, but the text entry alone makes them worth the download. AutoHotkey is free, aText has a free trial and then costs $5. Ditto (Windows) or Flycut (Mac) make your computer’s clipboard much more powerful. Rather than just copying and pasting single items, these apps make everything you’ve copied available to paste again and again. You can even save copied items into a group if they’re something you’ll need in the future, and sync clipboards across multiple computers. It’s a simple concept, and should be built into every operating system — but until it is, these apps are the next best option. Tripit has been around for years, and is still the best way to manage your itinerary with or without a data connection. With flight details, hotel bookings, car rentals and more all at your fingertips in a single app, it will start saving you time and avoiding frustration from the first day you use it. It’s available on most platforms, including Windows Phone, Blackberry, Android and iOS. XE Currency is another long-time favourite, this time for doing currency conversions quickly and easily. Add the currencies you need and sync ahead of time, then use the app anywhere you need to. Again, there are very few platforms that you can’t find a version for. WikiSherpa is a great little app that pulls information from Wikivoyage, Wikipedia and Open Street Maps to give you a personalised, offline travel guide. Again, just sync the places you’re going ahead of time, then load them up when you need them (maps and all). If you don’t have a working data connection while out and about, this can be a life-saver. Finally, Trail Wallet (unfortunately iOS-only) is a useful tool for tracking your expenses across multiple countries and currencies. Slick and easy to use, costs can be put into categories, compared to a daily budget and – importantly – exported in CSV format for use in accounting or other systems. Having the app on your phone makes it much more likely that you’ll enter expenses as you incur them and keep up to date. This post was adapted from Dave Dean’s new book, Hammocks and Hard Drives: The Tech Guide for Digital Nomads. If you’d like to learn much more about the tech side of the digital lifestyle, YTravelBlog readers can get 20% off the PDF version of the book just by using the special code ‘ytravelblog’ at checkout! Do you have any suggestions for apps or websites? This is a really cool post. Thank you. Lots of useful tips. Really cool apps, I must say! Although I am a bit lazy when it comes to using an app, I think I’m inspired to try at least one of them. Sounds great. Thanks for the share! It’s the best. They are always adding in new features too! I’m definitely looking into the gmail canned responses. Right now I just have a few templates in a Word document that I copy and paste into gmail when I need them – this sounds even simpler! Great suggestions. I’ve only heard of a couple of these, but I’ll be sure to check out the rest of these apps. I’ve recently discovered Canva and discovering the great things it can do with pictures. I love the sound of Asana and will download the XE Currency which I use on my desk top but obviously really handy to have with portable devices when travelling. I am also going to try out the WikiSherpa on our next trip later in the year. Wow, some great suggestions. I am looking into Rescue Time right now, just so I can painfully learn how unproductive I am! Amazingly useful post! I hadn’t heard of a lot of these. And, since I’m planning to go freelance when I go traveling next year, I will most certainly be using some. In fact, I’m going to test out [email protected] tomorrow in the office, could be just what I’m awful concentration abilities need! Hope it worked out for you — I know that I can’t do without it in noisy environments. I’m in Kathmandu at the moment, and peace and quiet is a rare commodity. When the internet is good enough, [email protected] is a lifesaver! Thanks for sharing. I’ve read Hammocks & Hard-drives but this was a good reminder. I haven’t tried Canva yet but I use PicMonkey regularly. I think they’re very similar (easy-to-use photo editing and design tool). I’ve been hearing good things about TripIt. Will give it – and the Trail Wallet app – a try on our upcoming 4-week road trip next month. Thanks again! Hope you enjoyed the book, Michelle — and definitely give those apps a try, they’ll help you out for sure! I made a note of this in Evernote so I can read this later (super busy right now!) … thanks for taking the time to put this together! Most of these seem really cool and interesting. I’ll definitely give some of them a shot during my next trip. Sounds like some really useful tools for anyone with limited time and distractions! Thanks. I’m certainly taking some of these apps, thanks so much! What an awesome list. The XE converter I have been using for years too, but I had no clue about the others. I live under a rock apparently. I I had never heard of Canned Responses, and now I have put that lab to good use! No more copy and pasting for me… those days are over! LOVE Tripit, but there are several others I’ve not heard of before that I will be checking out, mainly WikiSherpa, Canva and Canned Responses. Thanks for the tips! Evernote definitely takes a bit of time to integrate into your daily workflow, but once you’ve done it, you’ll wonder how you ever got by without it! Thanks for these tips, a lot of apps I didn’t know yet but that sound very useful. Wisestamp is such a handy little app — I had been looking for something like it for months before I came across it, especially features like pulling in your latest post and having nice little social media icons. Absolutely worth installing and spending the five minutes it takes to configure it. If you’re working as part of a team, Slack is a really great platform for communicating, especially for having running threads going on for discussing various projects. We tried out Asana for a little while, but didn’t really like the organization of it, so we stopped using it. Just downloaded Trail Wallet .. thanks for the tip. I’m off to research my next travel guide in Turkey and need to track and categorise my expenses… perfect timing on this.. Thanks Caz…. Hey great post! My recommendation for productivity is http://www.Kanbanflow.com , whit this tool you can create lists of tasks to share with the rest of your team. Its very simple to use and its web-based. Hope you like it! Great and useful tools and apps ! The only suggestion that I have is to change the XE currency calculator (which is difficult to use) for another easier to use like Currency Converter by e6bapps. Nice post – thanks! I’m a huge fan of AutoHotkey – don’t know how I could have ever been able to work without it, especially on the road. I’ve recently changed jobs and I spend about 75% of my work travelling, often using a laptop on trains and in cabs. As I entered this position I was also introduced to https://kanbantool.com – I get my work assigned in the app and my super is monitor what I’ve done, not do and am planning on doing. Saves us an awful lot of time, which we would have otherwise need to spend on the phone, updating each other round the clock. There is also a built-in time tracker – very helpful. I used to think apps like this are an added complication, but actually, this Kanban Tool couldn’t be easier to work on. I use full website on a laptop and an app on my iPhone. I look forward to more of your tips! Would you like to check out Whenabouts ,a shared calendar and cross time zone scheduler? My partner and I have created a sports & outdoors destination guide especially aimed at active digital nomads with a passion for extreme sports and outdoor activities, the site is still young but we’re adding content regularly! We also run an associated facebook group, which is growing fast, feel free to join us! It’s called Extreme Nomads: Extreme Sports & Digital Nomads’ Community. We would be honored to be listed on your page!